Everyone is welcome to come join in the fun as we celebrate all that’s great in Muskoka Lakes! 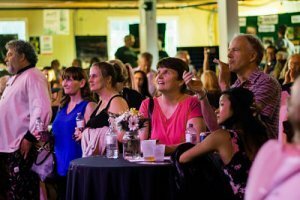 Includes music by Beverley Mahood on The Kee stage with friends, a marché from local restaurants and resorts and a loaded silent auction table. Tickets just $25 at the Chamber office, or online by clicking here. Thank you to our sponsors: Harvey Kalles Real Estate, Port Carling Dental, Busy Lizzie, Muskoka Party Rentals, Bala Garden Centre, and The Kee to Bala.